Learn a simple and powerful process to discover your life passions today! Enter your name and email address to receive my Discovering Your Life Passions video and PDF guide. Did you know that, according to a Harris Interactive Study, only 20% of people are living a joyful, fulfilled, passionate life? Chris and Janet Attwood set out to turn that passion statistic upside down when they developed and documented The Passion Test – a simple and powerful process that helps people get clear about what is most important to them and teaches them how align their lives with those things. Chris and Janet then found others who were on a mission to make the world a better place, taught them The Passion Test process, and certified them to take this process out into the world. 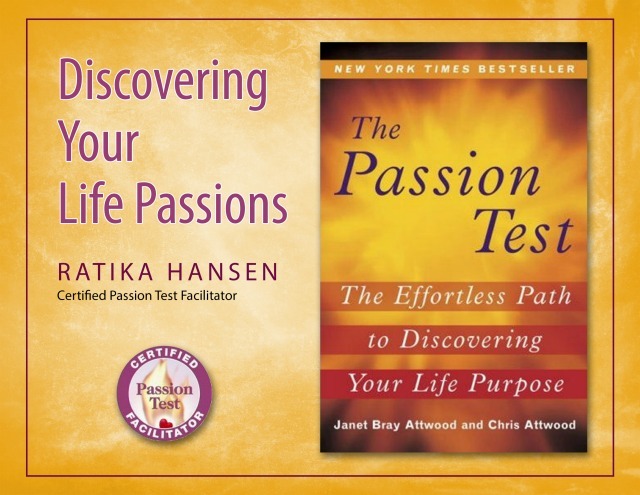 As a certified Passion Test Facilitator, I am excited to share The Passion Test with you. Download my video and guide to begin your journey toward more joy, fulfillment, and passion in your life today!